Please note classes will run from small to large. The Committee wishes to sincerely thank the Foljambe family for the use of the Osberton Estate. Class open to all horses over 14.2hh, riders must be 16 or over. There is a £1.35 – £1.50 non refundable booking fee for all classes. There will not be any refunds after the close of entries. All competitors in classes 1-6 must provide a number bib and medical arm band. Pay on the day £10. Liability: The organisers and all persons connected with the event do not accept liability for accidents, damage, injury or illness of horse, rider, spectators or any other person or property whatsoever. Further, the organisers reserve the right to cancel or divide any class with or without stating the reason. The panel of judges decision shall be final in all matters without stating the reason. Marking the Course: RED and WHITE boundary flags will be used to mark the start and finish and compulsory sections of the course, to define the extremities of obstacles and to illustrate compulsory changes in direction. RED flag on the right: WHITE flag on the left. Such red and white flags must be respected under the penalty of elimination wherever they occur on the course in singles or in pairs. Directions: Entry to the estate will be off the northbound A1 only. The slip road is shortly after the Ranby turn. Exit from the estate will be via Scofton village only. Health and Safety: The organisers of the event have taken reasonable precautions to ensure the health and safety of everyone present. For these measures to be effective everyone must take all reasonable precautions to avoid and prevent accidents occurring and must obey the instructions of the organisers, officials and stewards. Spectators are requested at all times to keep clear of the course and to not interfere in any way unless requested to do so by a competitor in difficulties. 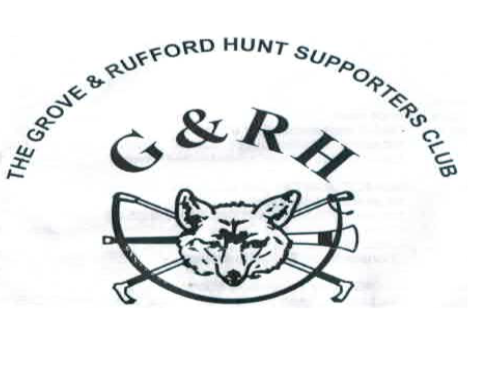 This event is being organised by Grove & Rufford Hunt Supporters Club. Equine Bookings is acting as the booking agent for this event, enabling you to book online, for which you will be charged a booking fee per space which will be added to your cart. Home of Osberton International Horse Trials. DIRECTIONS: Northbound – Access directly from A1. After passing over the A620 (Worksop/Retford), prepare to turn left in just over ½ mile (this is a small turning, with a short slip road, not a public road, taking you directly onto the estate). Pass over cattle grid, then straight on until you see PC signs, which will lead you to the site. Body protectors to current Britsh standards must be worn. If air jacket worn it must be combined with a body protector. collect your number. A number available to purchase on the day. The timed section will be deciding factor in the case of clear rounds, clear rounds only may proceed. Excessive use of spurs, whip etc and the use of offensive language will be penalised. Any competitor having difficulty or being eliminated at an obstacle must clear the course for the following competitors before proceeding to the next obstacle. Please only use the practice fences which are flagged up in the warm-up arena with the red flag on the right. Please remove all litter, this is grazing land. No head cams to be worn/used. All competitors must have third party liability cover. Horse/ponies must not be left unattended in horseboxes/trailers. Number bibs to be visible at all times whilst on course. The organisers of the event have taken reasonable precautions to ensure the health and safety of everyone present. For these measures to be effective everyone must take all reasonable precautions to avoid and prevent accidents occurring and must obey the instructions of the organisers, officials and stewards.